Don't miss out. Become a member. Here at Intelligence Squared, our speakers never shy from a good round of intellectual fisticuffs, whether the topic is politics, foreign affairs, technology or culture. 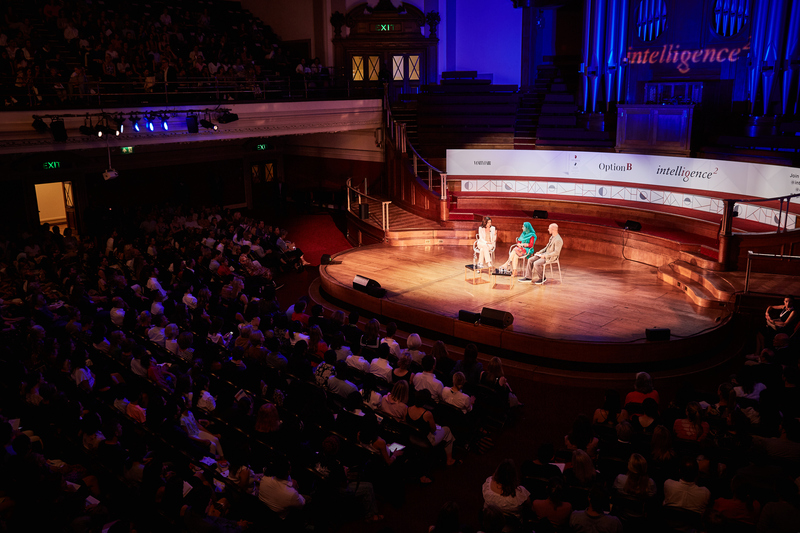 This year we’ve welcomed heavyweight speakers like James Comey, Mary Beard, Helena Bonham Carter and Mervyn King to our stage. But our events fill up quickly. That’s why becoming a member is a smart move, as that way you guarantee yourself a seat at every debate. All you need to do is email us on members@intelligencesquared.com and we’ll reserve your seats. And members get six tickets for the price of five. If the Membership you are purchasing is for yourself, please don’t forget to register it here. If you would like to buy Memberships for friends or family, please choose the Gift Membership when purchasing and enter the name of the recipient in the relevant field. We will then send you a Membership e-certificate you can give to them. We also offer corporate memberships. If you would like to buy a block of tickets for your team or clients to use over a 12-month period, please email us on bespoke@intelligencesquared.com and we can arrange a package for you. Your team can email us directly when they would like to attend an event and we will issue tickets directly to them. You can purchase one of the packets below, or we can tailor one to suit the needs of your business. (1) Your six seats can be redeemed in any combination, from one seat at six separate events to six seats at one event. (2) The Membership is valid for 12 months from initial purchase. Any tickets unused at the end of that 12-month period will be lost. (3) Member tickets are guaranteed up to two weeks before an event, after which tickets will go back on sale to the general public. (4) In the event that a talk, debate or discussion has “sold out” before the two-week cut off point, an allocation of seats will be held back and made available to members. (5) Member tickets cannot be used for partnership events or any event for which we are not selling tickets. (6) Membership tickets can only be redeemed for “Standard” (£30) tickets. If you wish to redeem one or more of your Membership tickets for tickets or goods of a higher value you may do so upon payment of the difference. (7) Your tickets can be exchanged at any time up to 24 hours prior to the event. We do not offer refunds. (8) Please note that event dates, times, venues and speakers are subject to change. You can always find the most up-to-date programme at ww.intelligencesquared.com. Our full Terms and Conditions for bookings can be seen here.